Today’s Free App of the Day is a fun and challenging game free of violence or age-inappropriate themes. 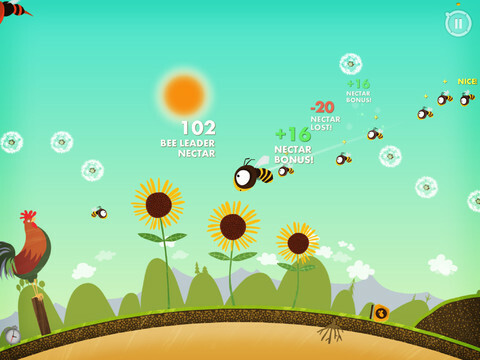 Bee Leader is interactive, customizable, and will keep your little ones busy (as a bee)! *** App Store Best of 2012 – Wow! *** Editors’ Choice on New Zealand, Australian & Brazilian App Stores! *** #1 iPad app & game in NZ & Australia! *** New & Noteworthy and What’s Hot in the US, NZ, Australia, Germany, China, Brazil and more! by Greg Harding, John O’Reilly and Ali Teo. Copyright 2012 Flightless Ltd. All Rights Reserved.